Emmor “Butch” Johnson, 68, of Mancelona, passed away on November 2, 2018 at his daughters home. Butch was born on May 12, 1950, in Sandusky, MI, the son of Paul and Mary (Hill) Johnson. 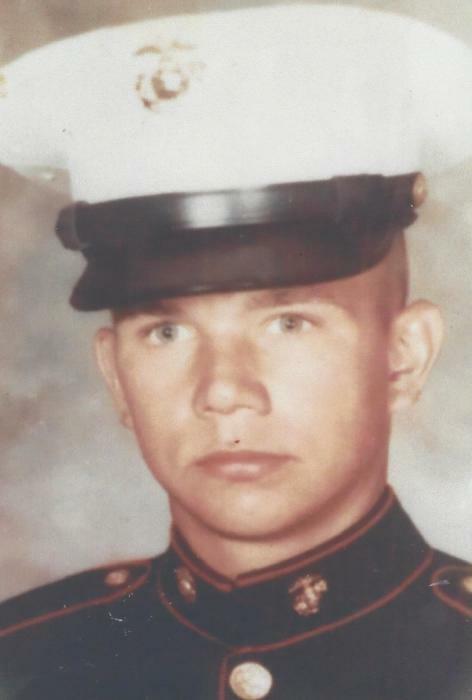 Butch served in the U.S. Marine Corps during the Vietnam War where he received a Purple Heart for being wounded in action. He enjoyed fishing, coin collecting, antique collecting, garage sales, gardening, bowling and was an avid MSU fan. He is survived by 4 children, Jennifer (Clarence) Halliburton of Holt, MI, Miranda Johnson of Oak Park, MI, Sam (Tiffaney) Johnson of Mancelona, Samantha (Allen) Oyer of Mancelona, a brother Bernie (Tammy) Johnson of Lansing, sister Anita (Jeff) Holbrook of Holt, MI, 8 grandchildren, Ryan, Onisha, Landin, Sam Jr., Login, Ian, Dale Jr., Trista and 7 great-grandchildren. He was preceded in death by his mother, 2 sisters Jackie Johnson, Susan Brooks, brother Bobby Johnson and a daughter Carly Lynn Johnson. Funeral services will take place on Thursday, November 8, 2018 at 2 p.m. at the Mancelona Chapel of Mortensen Funeral Homes, with Ben Schultz officiating. Military honors will follow services at the funeral home. Visitation will be from 12 noon until the time of services also at the funeral home.